I'm pretty excited about this week's edition of Ethan's Eats because I've decided to turn it into a weekly link-up! Hooray! 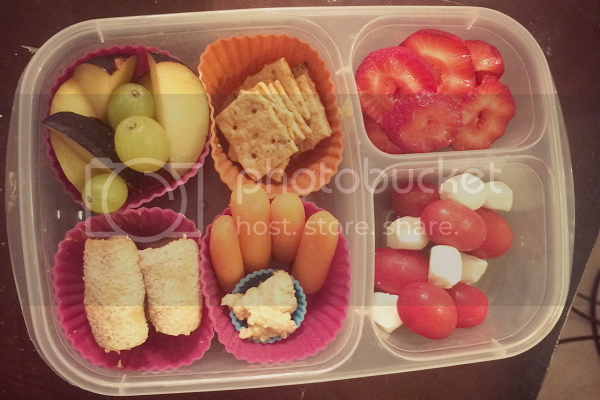 Every Friday, I'll be posting my regular Ethan's Eats lunchbox ideas as usual but with a fun link-up party at the end for everyone reading along to share their little ones lunches from the past week. No, it doesn't have to be limited to lunchboxes or a week's worth of meals or even lunch at all! Make something yummy for your little one? 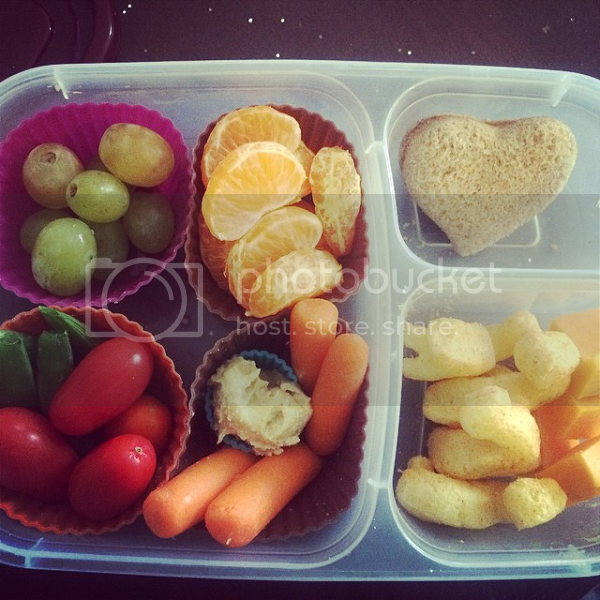 Whip up a super cute snack? A sweet little breakfast? Go for it and share away! Each week I'll also feature a spotlight area highlighting a couple of the submissions that were submitted the previous week. 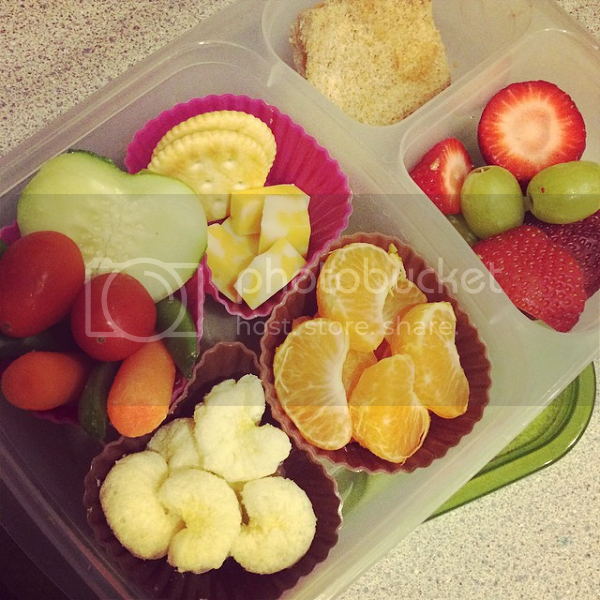 All you have to do to be featured is link up your fun kid food creations! 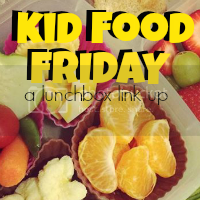 There is also a button below to take with you if you wanted to help add some Kid Food Friday love to your linked up posts! And what's a celebratory kick-off without a giveaway? 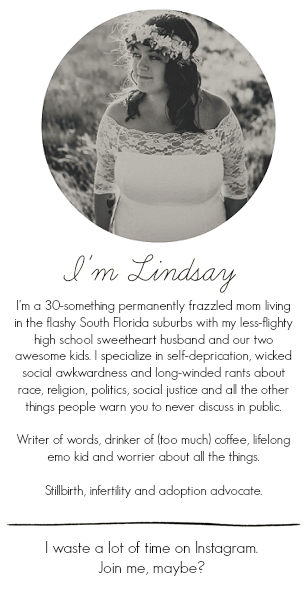 (Hint: not nearly half as fun, that's what!) Everyone is always asking about the lunchboxes we use and I'm so excited to be able to give away a set of Easy Lunchboxes plus a cooler bag (winners can choose their color) to one of my readers! 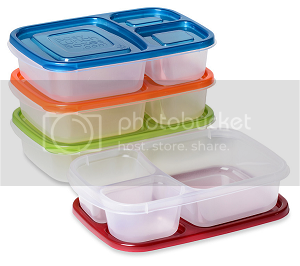 Easy Lunchboxes are our favorite BPA-free, microwave safe, freezer safe sectioned lunchboxes and I don't know what we would do without them! This giveaway is open to US residents and closes on September 12th! Good luck! You always prepare the best lunches! I love that they stack and take up less space! I really like how these would be easy to clean. You can pre-pack a sandwich and not have to worry about it getting soggy overnight.